The Astir Touring has been designed with long days in the saddle and for uneven roads. 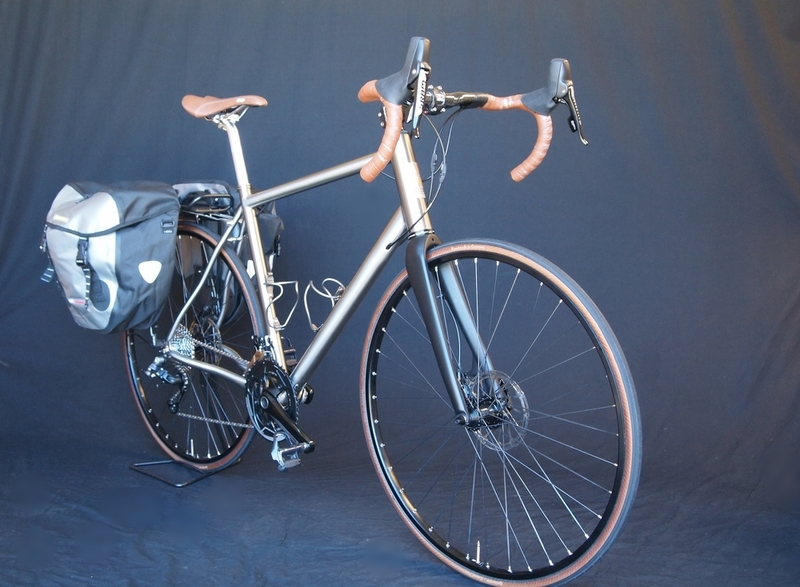 It comes equipped with provision for panniers, mud guards and lights. It is a FAST TOURER that can be loaded with the days provisions as needed. Tyres can be 25c - 32c with Mud guards. The Touring comes with 2 different forks, a Carbon disk for 25 c tyres & a fork that has 32c tyre clearance with fenders. 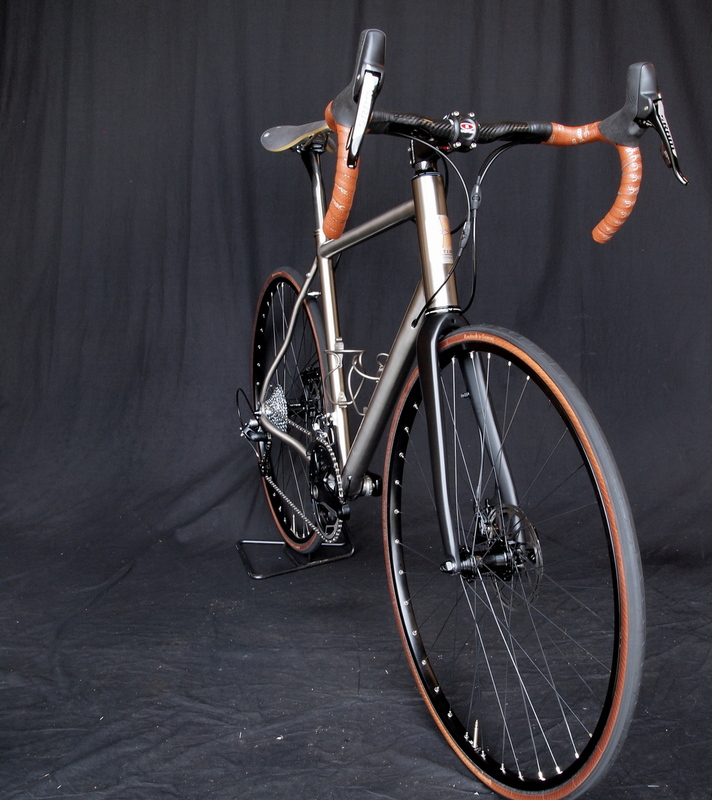 The geometry is one that has a lower BB, longer wheelbase by 55mm over any other Astir bicycle. handling is slow smooth and predictable and one loaded with panniers its handling and smooth ride make sense. Standard is the SRAM 22 wideglide & 32T rear and a compact 50/34. comes with touring pedals or road SPD clips. Tubing selected is straight gauge and double butted. 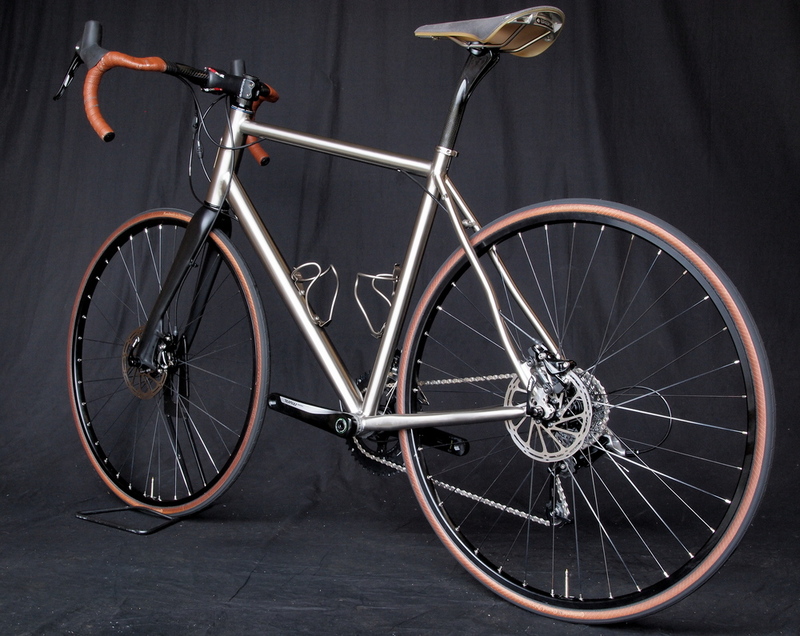 Seat tube is designed to be comfortable and the long chain stays assist with heel / pannier clearance. Finished indicative weight is 8.8kg 9.5kg (depending wheels, tyre selection and other components). Disc brakes hydraulic and Mech/Hydraulic discs. Saddles brooks & Selle italia.